The Open University, the UK’s largest educational institution, is celebrating its 50th anniversary. Lectures were first broadcast on 3 January 1971 on BBC Two, and course materials – including entire science experiment kits and even the brains of sheep – were sent through the post. One programme, shown in 1979, featured the famous Foucault experiment, which proved the earth goes around the sun, by hanging a brass ball from the roof of St Paul’s Cathedral in London . 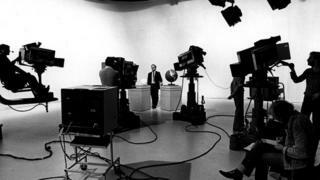 More than 40 clips and full programmes from the past 50 years are available to view on the university’s digital archive. Wilson’s arts minister Jennie Lee was instrumental in setting up the OU, and met the Queen on campus in Milton Keynes in 1979. She features in a new set of photos by photographer Chris Floyd to mark the university’s 50th anniversary. Why are students striking for the climate and will it have an impact?